Find The Best Deals On Used Office Furniture In Cleveland, Ohio. The Holiday season is here in full swing, and your business is likely preparing for tax season! That makes now the perfect time to replace your old office furniture with some of our good-as-new used office furniture! It also bolsters your employees’ moods for the holidays because a change in scenery can improve morale, much the same as new seating can improve posture. Integrity Wholesale Furniture has been offering great deals to businesses throughout the Cleveland metropolitan area for decades. We provide the best deals on used office furniture in Cleveland because we pass on the savings to our customers. Over the years, we have found many different ways to help keep your costs low. At this point in the year, the year’s end feels very close. With this being said, every business can feel the grasping, ominous presence of Tax season rearing its ugly head in the near future. Naturally, you want your business to get the most back that you can, so that makes RIGHT NOW the ideal time to replace your office furniture. That way, you can write off your acquisitions as business expenses for this year’s taxes. Aside from the practical business advantages of buying used office furniture immediately, the quality of our used office furniture will speak for itself for years to come. That’s why we take care to only carry the top brands, such as Herman Miller, Steelcase, Haworth, Allsteel, Teknion, Kimball, Knoll-Morrison. We also make sure that every piece goes through a thorough and rigorous inspection to insure that what you are getting is top quality. 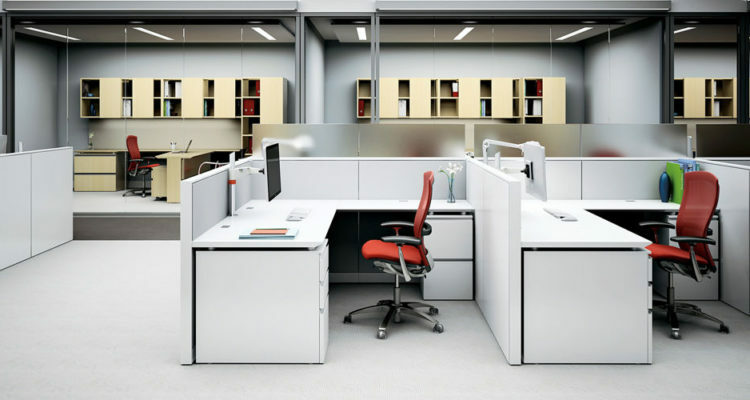 If you’re looking at cubicles, why not consider this Herman Miller 6×6 Ethospace. We have a variety of different configurations on most models, so whatever your business needs for space, we’re likely to be able to accommodate. Aside from styles, we have a number of different options from power down the spine to overhead binder bins. We also keep a fleet of office chairs available for all interests. From the multipurpose task chair that every business can use, like these Herman Miller Reaction chairs for example. We also have everything from conference chairs to executive chairs! Check today! As always, we pride ourselves on our commitment to each and every customer we talk to. Give us a call today or fill out a contact form on our website to find out how you can get the best deals on used office furniture in Cleveland for your business.